To vote, you must register with the Marshall County Clerk, be a United States citizen, and be at least 18 years old by the next general election. Are you registered to vote in Marshall County? Check your registration status using the Kansas voter registration lookup tool. You can register to vote for the first time or update your current Kansas voter registration information online. To register to vote online, you must have a valid Kansas driver's license or Kansas non-driver's identification card. You are required to use a legal signature to complete the registration process, and the online registration option uses your driver's license signature to do so. To register to vote online, please visit the Kansas Online Voter Registration Application. When you register, you can affiliate with a political party or be unaffiliated. During partisan primary elections, unaffiliated voters may choose a political party when voting. 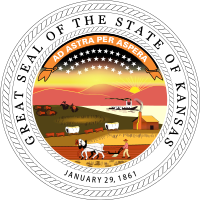 If you do not have Kansas identification, you may register to vote using a Kansas Voter Registration Application (PDF) and submit it to the Marshall County Clerk's office. You must re-register each time you change your name, address, or party affiliation for voting. If the Marshall County Clerk's office has your outdated voter information, you may be asked to vote provisionally at the next election. Keep voting simple for you by keeping your registration information current.